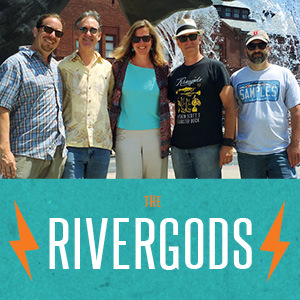 Due to the snow and poor road conditions, The Rivergods are rescheduling our holiday show til TOMORROW NIGHT (Sunday 12/30) at 7pm (not 7:30). Sorry for the inconvenience… stay warm tonight and we hope to see you tomorrow! A year-end tradition for us, our annual semi-acoustic holiday show, now in its umpteenth year! At the all new Bean and Leaf on Bank Street in New London, CT… so cool it even has it’s own parking garage. This year, we’ve got our friends The Meadows Brothers opening up for us. Wait ’til you hear these cats, if you haven’t. More soul than than should be legal at their age. 7:30, free, but donations warmly encouraged. More info here. Happy Holidays!